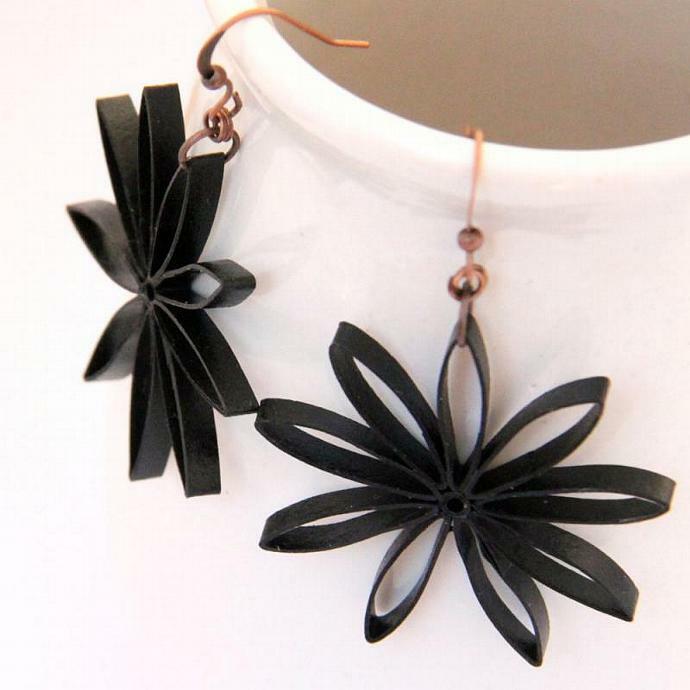 These eco friendly nine pointed star quilled earrings are handcrafted by the art of paper quilling. 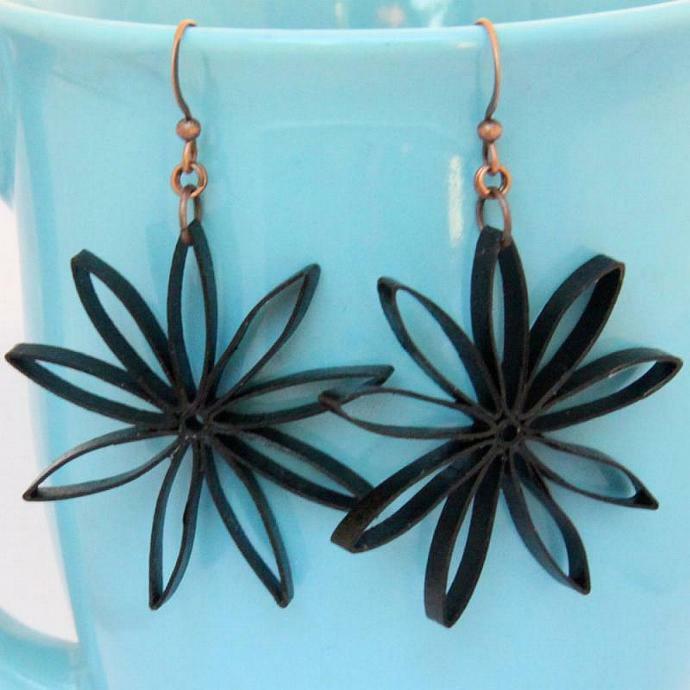 Strips of classic black specialty quilling paper are twirled into circles and pinched into petal shapes to make this lovely star-like flower. 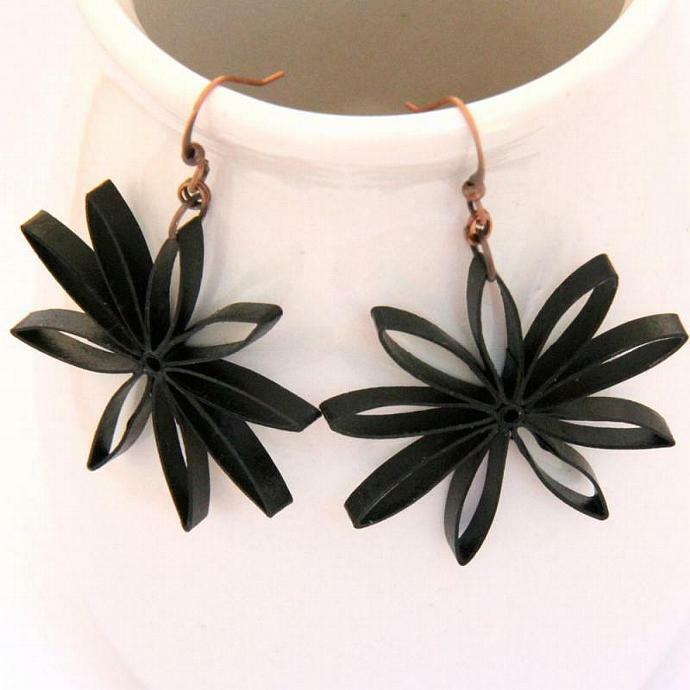 The pair in the photos are finished with cooler plated findings, but yours will have high quality non tarnish hypoallergenic niobium findings. 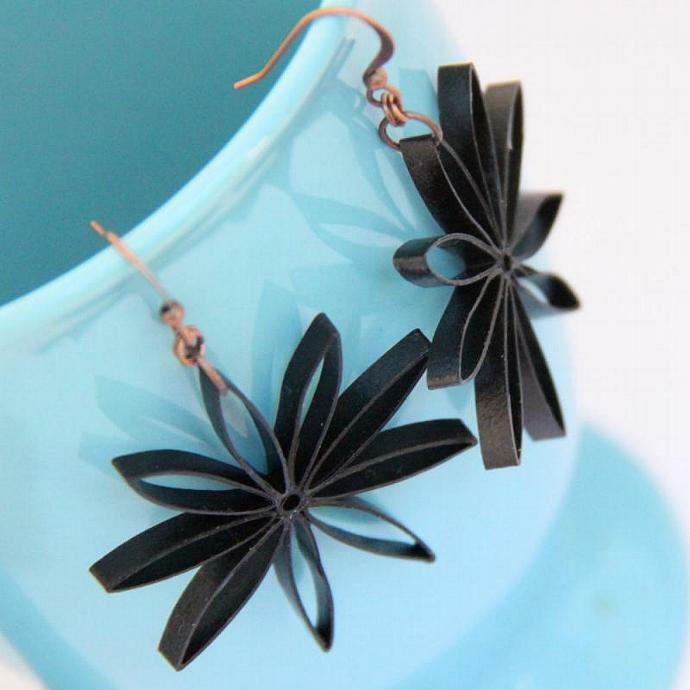 I love niobium and you will too!! 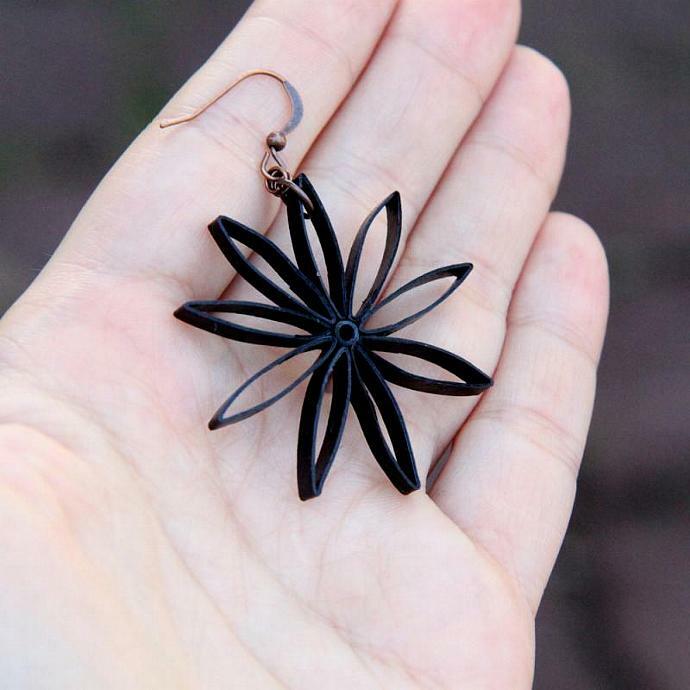 Classic black earrings are a perfect addition to any outfit - matches everything!